Say WHAT?! 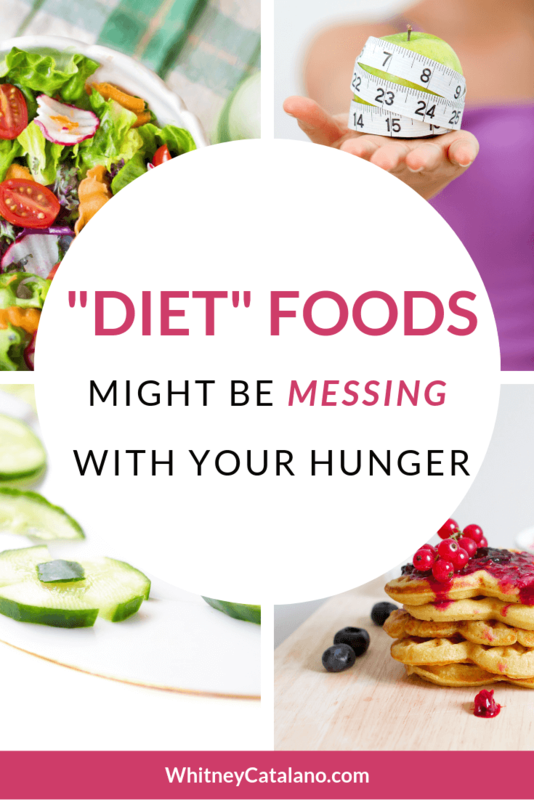 “Low-fat” and “low-calorie” foods might be messing with your hunger?! But Whitney, I thought you were against calling some foods “bad” and other foods “good”?? I AM! But I also believe in telling you guys about interesting research to help you make more INFORMED decisions about your health, which is why I had to tell you about a research study I read recently. When I read it, I was too blown away to not share the findings with you all. Plus, this has WAY more to do with my opinions on food packaging than it does with my opinions on the actual food itself. The research study we’re talking about today was published in Health Psychology in 2011, called “Mind Over Milkshakes: Mindsets, Not Just Nutrients, Determine Ghrelin Response” (1). In this study, the researchers looked at how “indulgent” vs. “low-calorie” labels (and therefore mindsets about the milkshakes) would affect digestion. Plenty of other studies have found that our mindset plays a role in the body’s physiological experience of food. For example, they name two studies, which have demonstrated that, “people like the taste of Coke better when it is consumed from a brand-name cup (3); [and] strawberry yogurt and cheese spreads are enjoyed less if they are labeled “low-fat” (4)”. Other interesting studies mentioned are ones indicating that, “when people think they have eaten a high-calorie [appetizer] they report greater fullness and eat less in response, whereas when people believe they have eaten a low-calorie appetizer they report more hunger and eat more in response (5; 6; 7)” (1). Because mindset plays a distinct role in our experiences, the researchers wanted to see whether our mindset would also influence our hormonal response to food. They were specifically interested in looking at the hunger hormone ghrelin. Ghrelin is mostly released in the stomach in response to lack of food. A physically-empty stomach will trigger ghrelin release into the bloodstream, which then travels to your brain and into the hypothalamus, signaling to your brain that you are HUNGRY. The big takeaway here is that ghrelin levels are HIGH before you eat and LOW after you eat. Satiety: When ghrelin levels are LOW after eating, the brain is signaled to reduce appetite and feel satisfied. This is that feeling after a meal where you are not only not hungry anymore, but you’re feeling satisfied and comfortable with your meal. You’re not desperately searching around for more food to eat, you’re just satisfied. What’s wrong with “low-calorie” labels on foods? In the milkshake study, 46 participants (ages 18-35; normal to overweight body sizes; all screened for the absence of disease; over half white; 65% women; 78% were Yale students) were scheduled for 2 separate visits (one week apart) at 8 am after fasting all night. They were told they would be trying two different milkshakes and rating them. They were also told that the researchers were looking at the body’s physical reaction to each milkshake. The participant’s ghrelin levels were measured before the shake and after the shake at the 60-minute and 90-minute marks. They were told to drink the shake in under 10 minutes after the first blood draw. They were also asked to rate their feelings of hunger 10 mins before each blood draw. What the participants didn’t know is that both shakes were exactly the same, they just had different labels. Unbeknownst (what a word) to the participants, the researchers weren’t actually studying two different milkshakes – they were studying the effects of labels on the body’s reaction to the milkshakes. Remembering that ghrelin is HIGH when we are hungry and low when we are full, participants experienced a greater RISE in ghrelin before drinking the “indulgent” shake (suggesting that the body prepares for a high-calorie food by signaling the brain that it’s time to eat). 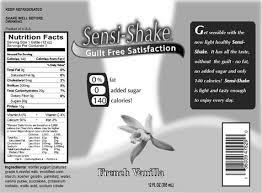 Participants also experienced significant satisfaction (satiety) after drinking the indulgent shake. In other words, the high-calorie shake made participants have greater hunger cravings and greater feelings of satisfaction after the shake. With the sensi-shake, participants experienced either no change in ghrelin or a just a small increase in ghrelin before the shake, and then only a moderate decrease in ghrelin after. This suggests that when participants expected the shake to be low-calorie, their bodies did not experience the same hunger/satiety cues even though they were drinking the same shake. Basically, the body’s hormone response triggering hunger / satiety is reduced when the brain thinks we are eating something low-calorie. This matters because reconnecting with hunger and fullness cues are a huge part of learning how to eat intuitively. 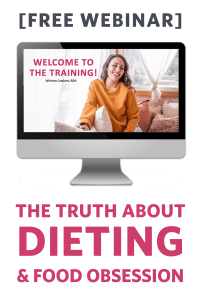 Like with anything else in the body, ghrelin works in a system with many other hormones and physiological mechanisms that control our eating and metabolism. If we spend a lifetime eating low-calorie foods, we may be doing damage to our body’s regulation of hunger and impacting other metabolic processes. All of that being said, I always caution against looking at physical processes from a zoomed-in, isolated perspective. By that I mean, we can’t just take the findings from this study and say that lowering ghrelin is either good or bad because we don’t fully know how it affects other mechanisms in the body (that being said, I will be talking more about what we do know in future posts, so sign up for my newsletter below to be notified!). The thing I find interesting here is that the impact on the hormonal regulation of hunger occurred DESPITE the actual nutrient content of the shake. Yes, ghrelin levels were lower before the sensi-shake, but they also didn’t really drop after drinking the shake either. According to the body, this is the equivalent of not eating, even though they did. More often than not, health media (aka diet culture) makes hunger out to be the enemy. Between articles titled, “5 ways to eliminate cravings,” and the Kim K appetite-suppressant lollipop drama, it’s almost counter-culture to actually appreciate your hunger (you know… the thing that literally keeps us alive because it reminds us to eat). MY takeaway message here is that hunger is not a bad thing. Without hunger, we miss out on that feeling of satisfaction after a delicious, fulfilling meal. 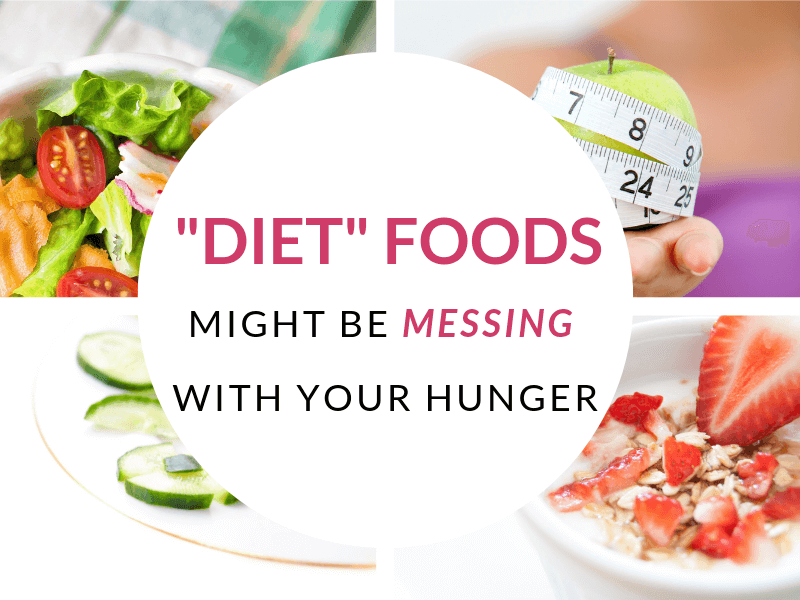 The fact of the matter is that these diet foods may be doing more harm to our body’s internal regulation of hunger than we realize. Does that mean that you are forever damaged if you currently eat diet or low-calorie foods? Absolutely not, that’s also not how health works. We can’t make claims like that based on one study (or even a lot of studies), and we need to get away from this “all-or-nothing, black-and-white” thinking when it comes to health. If anything, this gives us some insight into why so many of us may be feeling unsatisfied by diet meals and out of touch with our bodies. P.S. If you want to hear me talk about this study plus my thoughts on intermittent fasting, food-sensitivity testing, and losing weight for health, check out an interview I did over on the Happy Hour Podcast with Dee and Shannon. I also recorded a podcast episode AND a YouTube rant for Don’t Mess with Christine Sydelko and Chris Klemens, so you definitely don’t want to miss either of those! 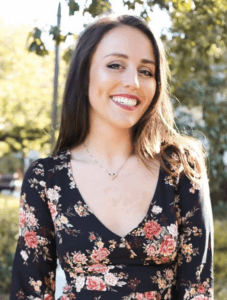 Follow me on Instagram @TrustYourBodyProject, YouTube (Whitney Catalano, RDN), Facebook, and Pinterest for more information and anti-diet motivation. 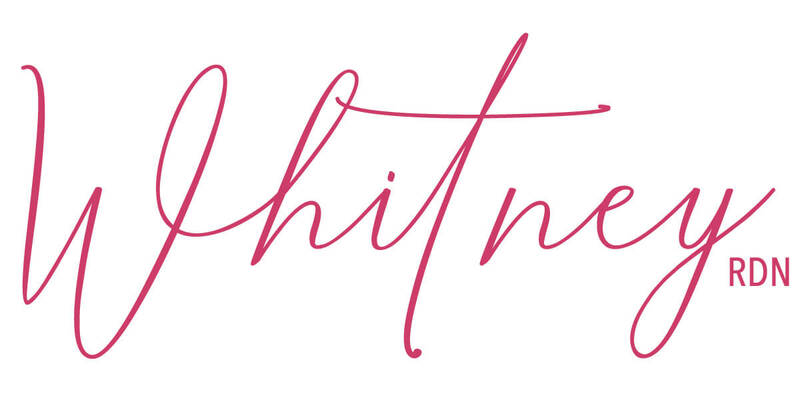 And FINALLY, if you aren’t quite ready for coaching but you’d like to ask me a question and get some personalized intuitive eating and body image guidance, I have a new email support option called Ask Whitney. McClure, S. M., Li, J., Tomlin, D., Cypert, K. S., Montague, L. M., & Montague, P. R. (2004). Neural correlates of behavioral preference for culturally familiar drinks. Neuron, 44, 379 –387. Wardle, J., & Solomons, W. (1994). Naughty but nice: A laboratory study of health information and food preferences in a community sample. Health Psychology, 13, 180 –183. Polivy, J. (1976). Perception of calories and regulation of intake in restrained and unrestrained subjects. Addictive Behaviors, 1, 237–243. Provencher, V., Polivy, J., & Herman, C. P. (2009). Perceived healthiness of food. If it’s healthy, you can eat more! Appetite, 52, 340 –344. Wooley, O. W., Wooley, S. C., & Woods, W. (1975). Appetite for palatable food as a function of the caloric density of the previous meal. Journal of Comparative and Physiological Psychology, 89, 619 – 625.